Oh my, move-in day is nearly upon us. It's hard to believe that another summer is over (I'm incredibly happy to be going back to school. I know, I'm strange) but get excited for the upcoming semester! As a CA (community advisor, or RA at other schools) I've now been through two freshmen move-in days and have seen how it all works from both sides of the table. 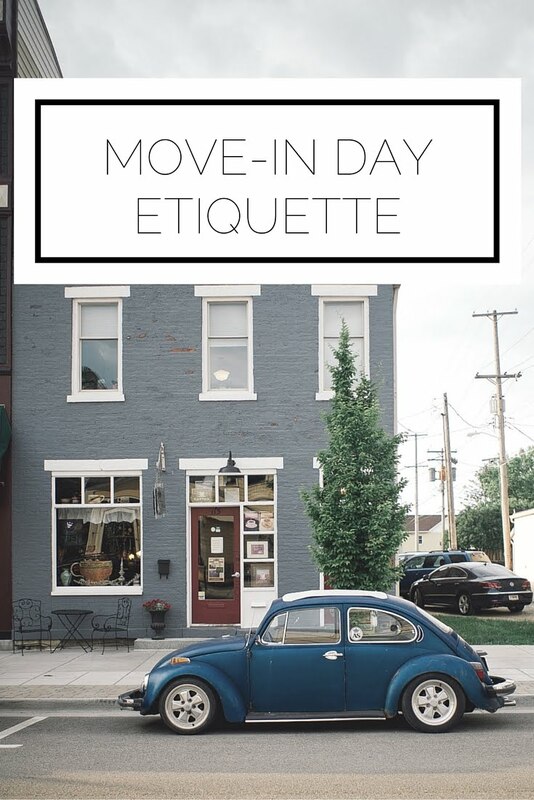 Here is what you should remember when you move in to make the day go as smoothly as possible and to maintain your standards of etiquette in what can often be a stressful situation. Remember everything will get done. When I first moved in it was utter madness (you can check out a guest post on my move-in day here) and I was completely overwhelmed. I went in with the expectation that I would be completely moved in, pictures hung, clothing organized, and ready to go in the course of one day. Having this expectation was a mistake; it is exceedingly difficult to have your room set up in the course of one day when you are meeting your roommate, saying goodbye to your family, and trying to do it all in the most miniature of rooms. Instead, opt for having the goal of physically getting everything into the room and remember that everything will get put away at some point. It can be easy to loose your cool when everyone is overheated, overtired, and downright cranky, but you don't want to do or say anything you will regret. When you cut that girl off in line for the elevator you may not be thinking about how you will share a class. Or when you snap at your parents you may not remember that this day of separation is hard for them too. As always with etiquette, aim to make the situation easy for all involved and put those you interact with at ease in order to make your life and experience better. You are living on the first day, on the precipice, of a fantastic four years. You will have so much fun, learn more than you imagined, and create unforgettable memories and friendships which means you should be happy! When things go awry (seriously, just read this guest post if you want to know all about how wrong things can go) take a breath and laugh. Not only will you release tension in yourself, but you'll already be building your reputation as the girl with a great attitude and a smile on her face. Act with decorum, think first of others, and relax. This is the recipe for a smooth move-in day. What are you most anxious about? What is your move-in advice? If you want to pack like a minimalist, check out my list of the essentials here. 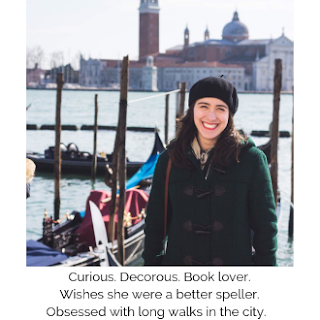 You can peruse all of my college posts here.